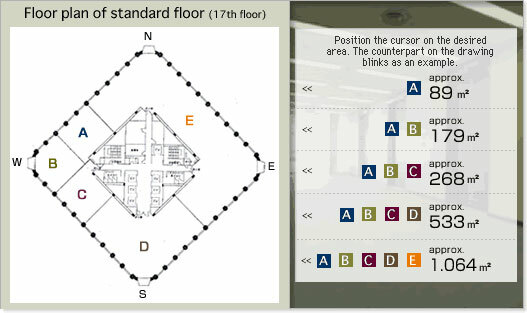 The office layout of Kobe Commerce, Industry and Trade Center Building can be arranged from approx. 30m² for a space to approx. 1,064m² for one floor. Flexible arrangement for from relatively small office to wide office is available. Moreover, utilization of rental meeting rooms realizes reasonable office plan minimized the required area.